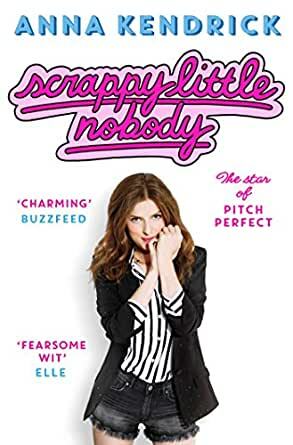 The book is such an honest account of Anna Kendrick’s life and it feels like she is speaking directly to me just like a good friend would, a swearing sailor type of friend who has no censor (lol Anna Kendrick is funny), but still a real and honest narration of a celebrity life. I did wish that the book was more of a chronological journey as at times I found myself confused at her age or the period of time that was being explored but otherwise the stories are fantastic and it’s nice to read the perspective of a celebrity that is “normal” but still extraordinary. Please write a second book Anna Kendrick! Can’t wait to hear what happens in your next phase of life and career! Interesting to read Anna’s anxiety issues. I wish her well with everything. I enjoyed reading her book and enjoy her movies, look forward to seeing more soon! I think I’d give her a big cuddle if I saw her!!! This was a good read, but not as funny or interesting as I'd hoped it would be. In saying that, I did enjoy it thee were some moments where I could totally relate. Hilarious, quirky, interesting - I really enjoy watching Anna Kendrick act and now that I know a little more about her world-view, have an even bigger girl-crush really. Love how not-seriously she takes her life. Love the tales. Love her entire persona. Great read- I feel she has a few more books in her, hope to read another in ten years or so! An insightful read into the life of Anna and growing up in I would describe as an abnormal way. Loved it and recommend to anyone who has a sense of humour and can take certain phrases lightly. 5.0 out of 5 starsA highly entertaining read. Fantastic. Acerbic humour abounds. Self deprecation I haven't seen since Spike (Milligan)... all from one of my favourite actors. Highly recommended. Be warned though that there is very strong language throughout the book, so parental discretion is advised. Trying to read this book in the middle of my work day, probably not my brightest idea! I was in fits of laughter! Witty, over-shared, and brutally honest (all aimed at herself), had me hooked! Couldn't put it down!